Outrage as Church beating video goes viral - SABC News - Breaking news, special reports, world, business, sport coverage of all South African current events. Africa's news leader. Tags: Eastern Cape, Mdantsane, Council of Churches, Endumisweni Faith Mission, Phumezo Jaxa. 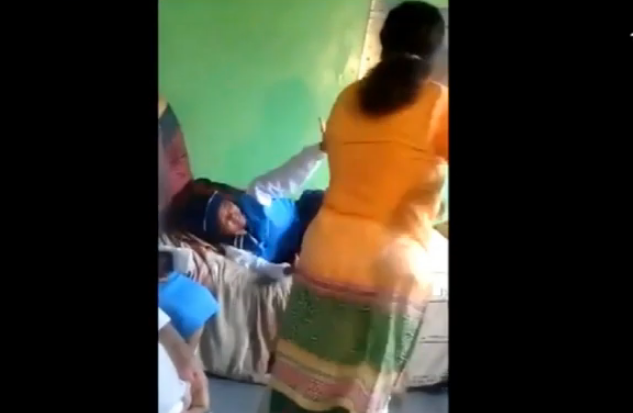 Two videos doing the rounds on social media of two girls in their 20s being beaten with a pipe in a Mdantsane church in the Eastern Cape, have sparked outrage. The incidents allegedly occurred at Endumisweni Faith Mission. It’s alleged the girls had gone to the cinema with friends and posted on social media. Some congregants watched as the beating went on. The videos that have evoked emotions, sending shock waves on social media and other public platforms of abuse at the hands of church leaders. Former church member Andiswa Ralasi from Mdantsane left the church nine years ago, alleging that she was ill-treated. Ralasi says that she forced to get naked and then beaten. She also alleges that she was forced to take loans, leaving a negative impact on her credit record. This is another heavy blow further denting the Christian faith. Phumezo Jaxa from the Council of Churches has described the incident as barbaric. He further says that the Council condemns the behaviour and calls for other congregations to stand against such incidents. The church says it will comment on the matter on Sunday when all leaders are available. Eastern Cape Mdantsane Council of Churches Endumisweni Faith Mission Phumezo Jaxa. This entry was posted on 19 Jan 2019,09:05PM at 9:05 PM and is filed under South Africa. You can follow any responses to this entry through the RSS 2.0 feed. Both comments and pings are currently closed.